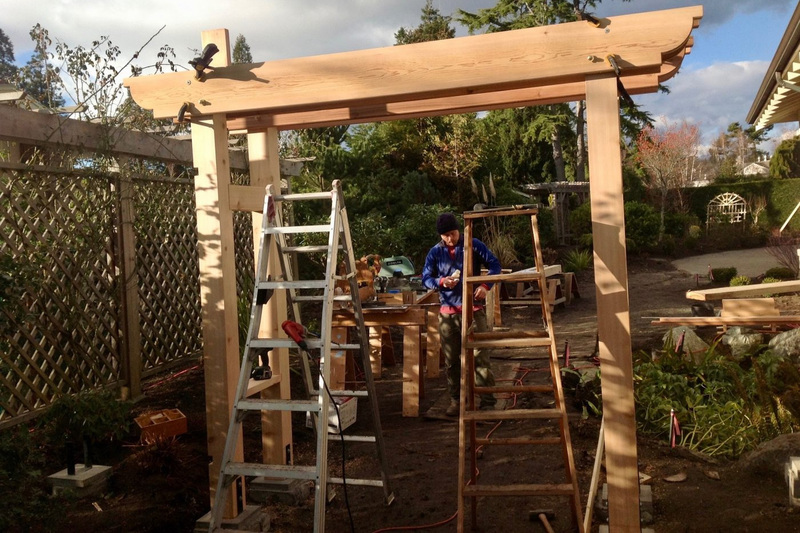 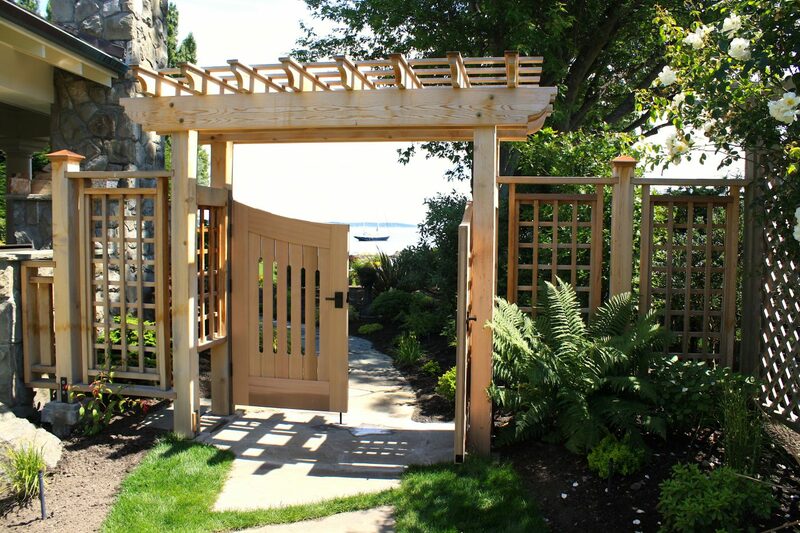 This was the third in a series of garden structures we built for a local waterfront property. 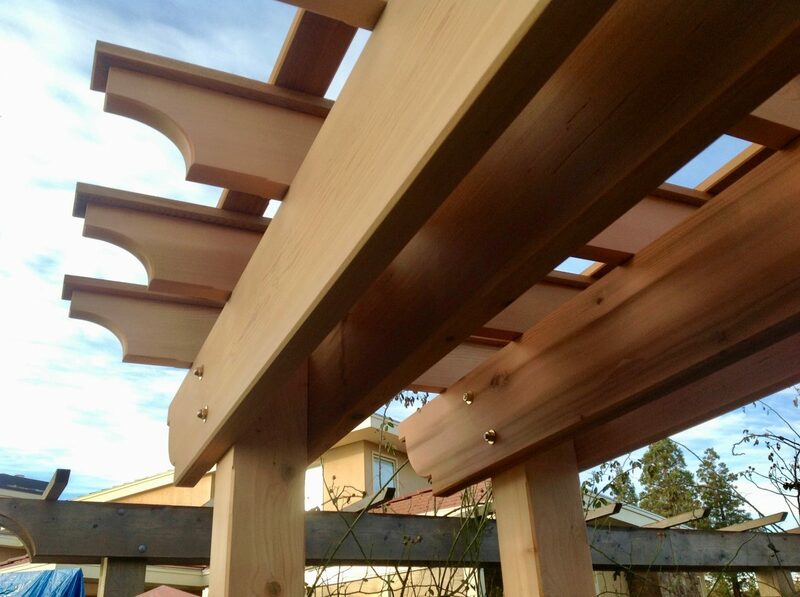 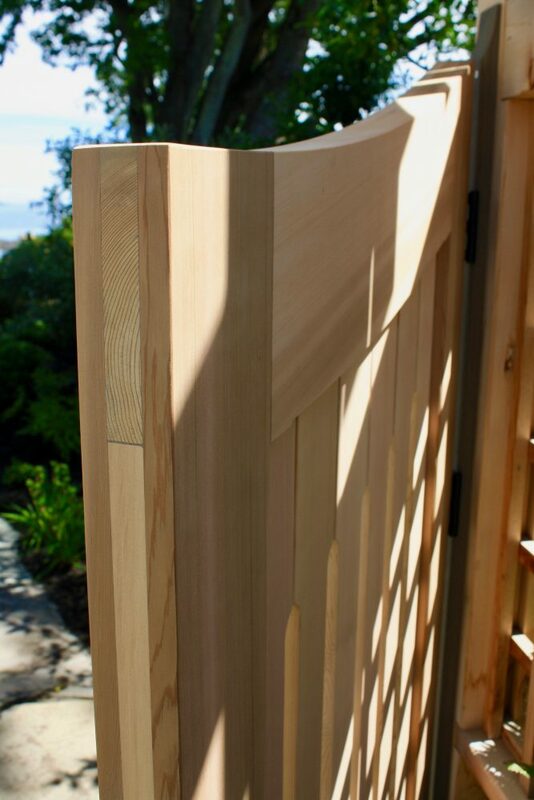 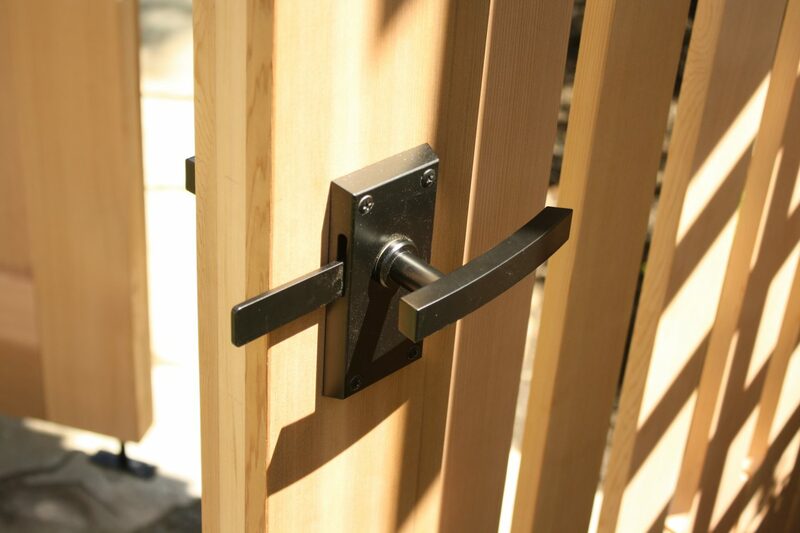 They are constructed of Western red cedar using traditional timber-frame joinery and brass fastenings. 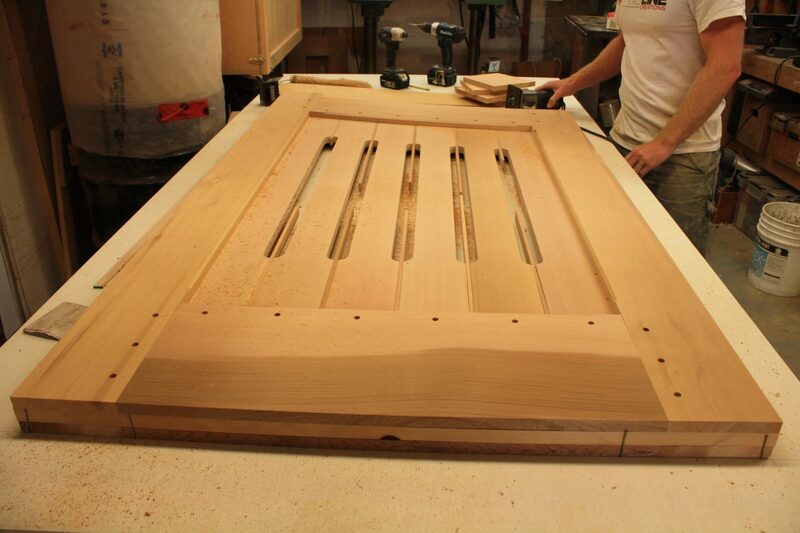 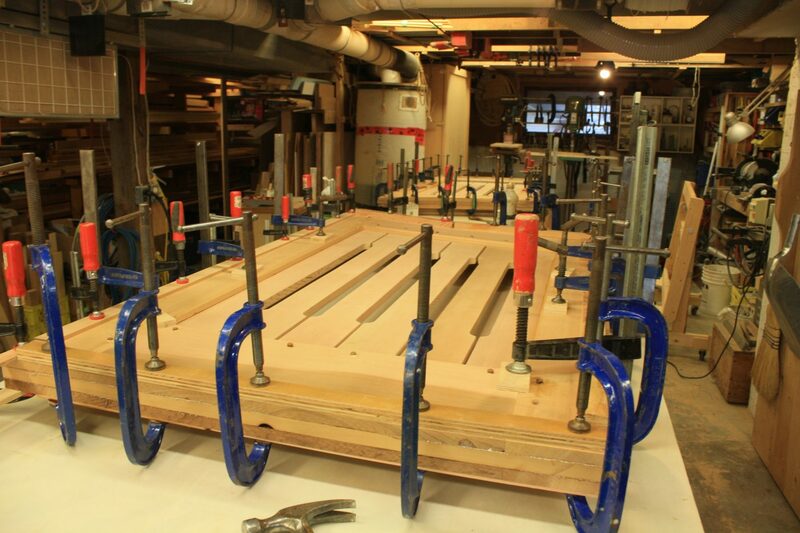 These doors were built out of laminated layers of vertical grain red cedar to create glued bridle joints. 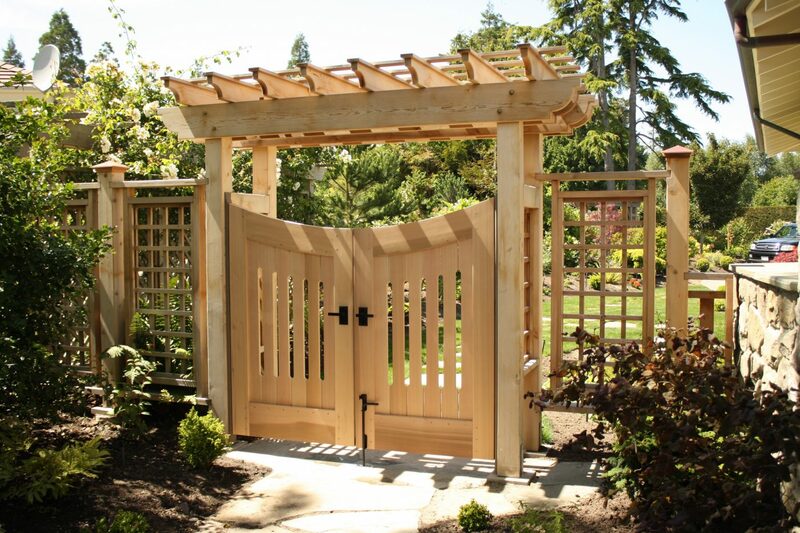 This was done so that the gate will never sag due to loosening of the joinery over time.